The latest title from the developer of Torchlight. Hob will launch for PlayStation 4 and PC on September 26 for $19.99, developer Runic Games announced. PlayStation 4 pre-orders will include a 10 percent discount for regular users and 20 percent discount for PlayStation Plus subscribers. Every pre-order will include the “World Shift” dynamic theme. PC pre-orders will include a 10 percent discount. Runic Games is also launching a “Runic Games Collection” on Steam and GOG today, which includes Hob, Torchlight, and Torchlight II for $24.99. Finally, Runic Games is calling upon fans to help them name a few of the game’s trophies. Find out more here. 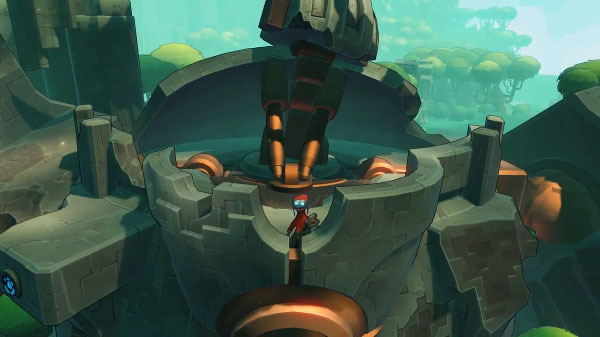 Hob is a suspenseful adventure game set on a stunning and brutal world in disarray. Slowly uncover your role in saving the vibrant life around you while you explore stunning landscapes, solve puzzles, and transform the planet itself. Wordless Narrative – Presented without text or dialogue, Hob’s story is revealed as you explore the planet and interact with the strange lifeforms that inhabit it. Watch a new trailer and a preview of the dynamic theme below.